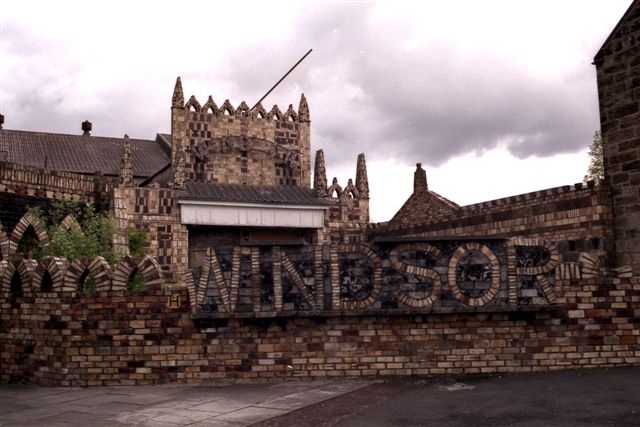 The Windsor opened in 1937, adjacent to the site of the earlier Empire cinema. Developed by showman Mickey Burns, the unique design had a brick exterior with a gatehouse in a vaguely Moorish style. The auditorium sat 1,300, with a small balcony. It was accessed through a long foyer, with a row of Ionic columns running down the centre. The foyer and auditorium interior were decorated with panels and fittings from the ex-Cunard liner The Mauretania. Closed as a cinema from the 1960s, it was used as bingo for a while, before sitting empty. The building was demolished in 1987, by which time the panelling and fittings appear to have been carefully stripped, though where they ended up is unknown. Burns' own house was decorated in a similar style, and survives to this day. Picture to the left of the house courtesy of Alison Thewliss. All photos below c.1986, courtesy of Paul Francis.